Using Top-Up benefits may be an option if you plan to use tuition assistance (TA) to complete a degree program while on active duty, and don't plan to continue your education after service. Top-up can also be helpful for just taking a few courses with TA while on active duty; then you can save most of your GI Bill benefits for after service to complete your education program. You need to consider carefully your own situations and contact your School Certifying Official (SCO) to discuss applying for Top-up. For example, if you plan to take expensive courses using Top-up, you need to consider whether you'll take additional training after you're discharged from active duty. If so, you need to understand the effect of using the Top-up. You can then calculate whether your remaining benefits will cover the additional training you might need. Get the Top-Up fact sheet. The Top-up program is only available for recipients of the Montgomery GI Bill - Active Duty or Post-9/11 GI Bill programs. Top-up is limited to 36 months of payments. For example, if you are paid Top-up for a three-month course, you use three of the 36 months. The amount of this benefit can be equal to the difference between the total cost of a college course and the amount of Tuition Assistance that is paid by the military for the course. To be eligible for the Top-up benefit, you must be approved for federal TA by a military department and be eligible for Montgomery GI Bill Active Duty or Post-9/11 GI Bill benefits. 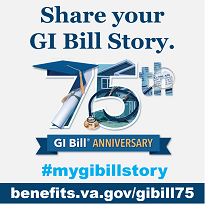 If you are utilizing the Montgomery GI Bill your entitlement is charged based on the dollar amount of benefits VA pays you. You will be charged one month of entitlement for each payment you receive that is equal to the full time monthly rate for the GI Bill. View the current payment rates. If you are utilizing the Post-9/11 GI Bill your entitlement is charged based on the training time you are enrolled in. If you are going to classes at the half-time training level you will be charged for a half month of Post-9/11 GI Bill benefits for each month you are enrolled and receiving GI Bill benefits no matter how much money you are reimbursed. First, apply for GI Bill benefits. Contact your School Certifying Official (SCO) to discuss applying for Top-Up.